Do you have a friend that overreacts whenever a bee or wasp makes an appearance? 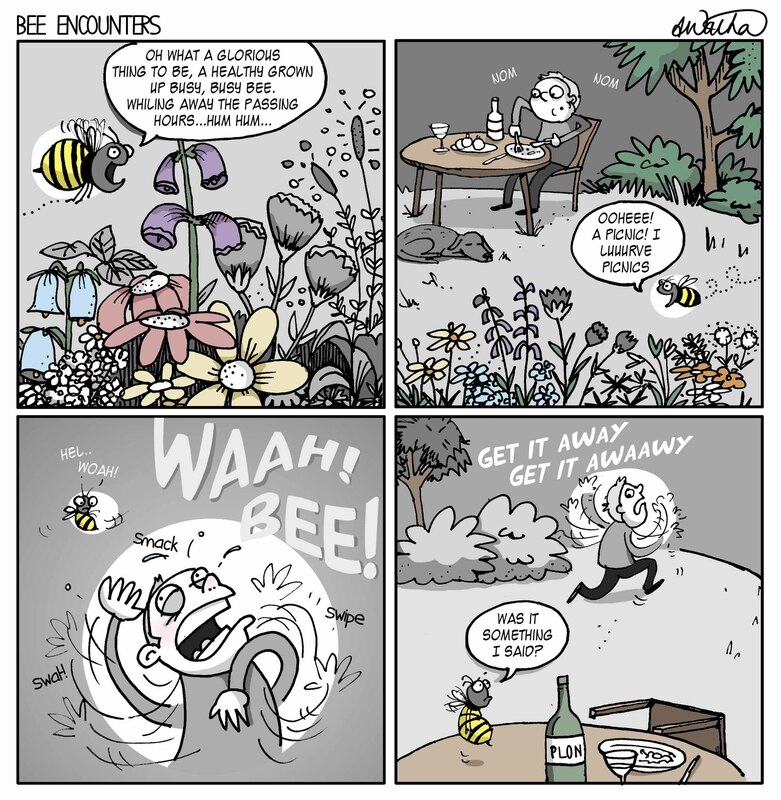 This entry was posted in Animals, Miscellaneous and tagged bee, cartoon, comic, funny, humor, insects, picnic, summer, webcomic by bighair63. Bookmark the permalink. Queen Marie: Good heavens, child. Are you alright?